Forget new casino openings. Legal sports wagering is the gaming industry’s fastest growth vehicle. Last week, before New York City became the gambling universe’s 50-yard-line for the ICE Sports Betting USA conference, representatives of H2 Gambling Capital visited separately with gaming analysts Barry Jonas of SunTrust Bank and Cameron McKnight of Credit Suisse. The message from the United Kingdom-based data supplier to global gaming industry was the same to both analysts: by 2030, the regulated U.S. sports gambling market could produce revenues of $8 billion annually. “We continue to see sports betting as a long-term play, but likely not meaningful to earnings in the near-term,” Jonas said told investors who might be considering stocks of the major casino operators. Legal sports betting has skyrocketed since the May 14th U.S. Supreme Court ruling that drove a stake through the Professional and Amateur Sports Protection Act. Seven states – including New Jersey, Mississippi and Pennsylvania – joined Nevada in the months following the justices’ ruling. The focus, however, is on the next wave of gaming states, primarily the larger population centers of New York, Illinois, Michigan, Massachusetts and Ohio. Any of those states could skew the sports betting market. If the state legalizes sports betting, he believes it could be a boost to gaming company stock prices, which have declined to 52-week lows in recent months. MGM Resorts International, for example, is expected to close its $890 million purchase of Empire Casino and Yonkers Raceway near New York City by February. “We think investors are more likely to seriously ascribe value for sports betting when it is legal in New York,” McKnight said. H2 founder Simon Holliday was part of a roundtable discussion hosted by McKnight, which included Florida-based gaming attorney Daniel Wallach and Gambling Compliance Managing Editor James Kilsby. The group suggested sports betting could settle into three to four dominant markets within three to six months after launching. If those key states – such as New York – join the wave, by 2023 sports betting could reach $4.5 billion to $6.5 billion in annual revenues, McKnight suggested. 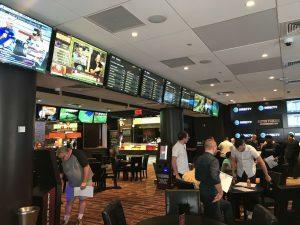 “One of our contacts recently increased their 2023 estimate by 10 percent, noting recent New Jersey sports betting volumes are in line with expectations,” McKnight said. No one, however, discounts Nevada. New states haven’t sliced into the Silver State’s legacy sports betting market. 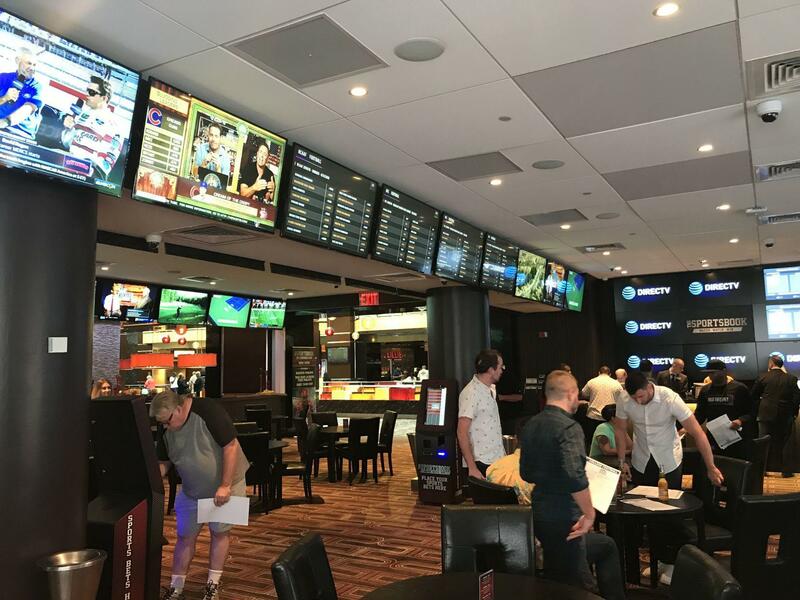 Through the first 10 months of the year, revenue from sports betting is up more than 12 percent, and wagering is up just under 1 percent, suggesting Nevada will exceed last year’s records of $248.7 million in revenue and $4.86 billion wagered. In its discussions with Jonas, H2 suggests other sports betting states will hold 10 percent of all wagers. Nevada has historically held 5 percent of all sports bets. “H2 believes market conditions in Nevada, low tax rates, advantage players, etc., drive hold lower than their expectations for potential U.S. regional markets,” Jonas said. McKnight’s panel expressed two concerns – potential federal intervention into sports wagering and the professional leagues’ continued efforts to gain so-called “integrity fees,” a piece of the wagering action, so to speak. The Credit Suisse panel also believed the sports leagues’ efforts on integrity fees “are only beginning.” Three of the leagues – the National Basketball Association, the National Hockey League, and Major League Baseball – all have data share deals and marketing agreements with MGM. How sports betting is legislated in larger states, such as New York, Massachusetts and Illinois, will provide a clearer picture. The sports wagering explosion has created a market for ancillary businesses. There are three additional sports betting conferences scheduled for next year. Websites focused on sports betting – Legal Sports Report, SportsHandle, Covers.com, and others – have blossomed. Gaming technology companies – International Game Technology and Scientific Games, for example – touted their sports wagering systems at the Global Gaming Expo in Las Vegas. “Sports betting is seen as a net positive for suppliers at all levels of the value chain,” Jonas said.